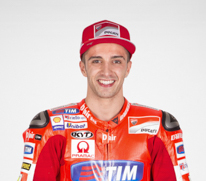 One week after his second place finish at Austin, Andrea Dovizioso produced another fine performance to repeat the result at Termas de Rio Hondo when he finished runner-up behind winner Rossi in the Argentina GP. With this result, the 29-year-old from Forlì finished second for the third time in a row in this early part of the season, after putting together a fast and intelligent race. Dovizioso crossed the line in fifth at the end of lap 1 and continued his charge upwards to reach second on lap 8. Three laps later Rossi, who was also working his way to the front, overtook the Ducati Team rider but Dovizioso remained firmly on his tail until the end, and aided by the fact that Marquez crashed, he took the chequered flag in second place. Andrea Iannone also had a very good run throughout to finish fourth at the flag. The 25-year-old from Vasto, who qualified on the front row, crossed the line in sixth on lap 1 but then moved up to fourth on lap 3 behind team-mate Dovizioso. Iannone was then passed by Rossi and began a terrific battle with Crutchlow and Lorenzo. On the penultimate lap Andrea succeeded in passing Crutchlow, moving into third, but the British rider retook the place right at the final corner and so Iannone was classified fourth in the Argentinean race. Thanks to today’s results, Dovizioso remains second overall in the Riders’ standings with 60 points, six behind leader Rossi, while Iannone moves up to third with 40 points. 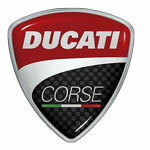 Ducati lie second in the Constructors’ table with 60 points and the Ducati Team are second in the dedicated Teams’ classification, with 100 points. “We are really satisfied with this result, which comes on a difficult track for us. Also on this occasion the riders and the team worked very well and the GP15 demonstrated once again that it is a really competitive bike. Dovizioso was really fantastic and he ran a fast and intelligent race to take second place for the third time this season. It was a pity about Iannone, who deserved to finish on the podium, but in any case we return to Europe with our two riders second and third in the championship and we can be pleased about that. I want to thank all the guys in Ducati Corse who have worked non-stop these last few months and I dedicate this result to them”. 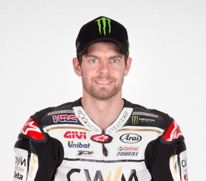 Cal Crutchlow took an outstanding third place in Sunday’s Grand Prix of Argentina, to seal the CWM LCR Honda Team’s first podium finish since 2013. With the sun breaking through the clouds as the riders sat on the grid, the British rider was left with a conundrum as to which rear tyre to use, eventually deciding to use the softer option available to him. This meant that despite running in second place behind Marc Marquez for much of the early laps, Crutchlow was forced to relinquish that spot as he conserved his tyres. 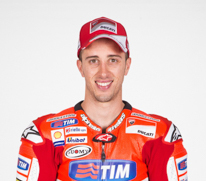 He dropped as low as fifth at one point, but fought bravely to cling on to the Ducati of Andrea Iannone in front. As Marc Marquez crashed out of the race under pressure from Valentino Rossi, the CWM LCR Honda rider knew he still had a shout of a podium, and a stunning move through the final corner sealed third place to spark huge celebrations in the team pit. 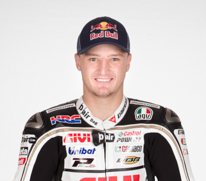 Jack Miller finally showed his potential in his debut season as a MotoGP rider, as the CWM LCR Honda man took 12th place in the Grand Prix of Argentina and came home as the top Open class rider across the line. The Australian had started the race from a lowly 21st position on the grid, but as has now become customary in his fledging MotoGP career, he quickly made up positions, and was battling well within the points scoring spots. Having dispensed of former world champion Nicky Hayden, Miller also made it past Stefan Bradl, with just the Ducati of Hector Barbera standing in his way of becoming top Open man. Miller conjured up some of his usual magic in the final corner of the race, slotting his Honda RC213V-RS underneath the Spaniard to take four points and the honour of top Open bike for the first time in his rookie year. With his teammate Cal Crutchlow having sealed an amazing third place, Miller’s Open win saw him join his colleague in parc fermé, sparking wild celebrations across the board.